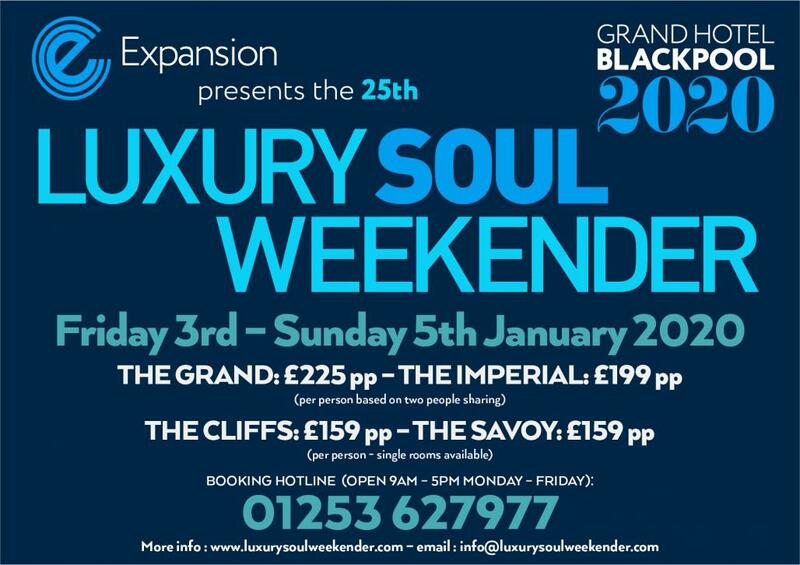 Commence each year in style at the Luxury Soul Weekender in Blackpool, Lancashire. In a luxurious four star hotel we have five star DJs in five rooms including Saturday night?s special live concert. Accommodation packages become available each year at the host hotel The Grand and partner hotels The Imperial, Cliffs and Savoy. Details above. All weekend access wristbands are available from Ticketline. Keep in touch on our Facebook group page.